We place a strong emphasis on personal responsibility - we expect students to be self-directed and take a key role in shaping their education. Your campus Student Services team will be able to assist you with a wide range of enquiries and point you in the right direction for help with academic skills and English language courses. Let us know your residential address in Australia within 7 days of arriving in Australia. Let us know your new residential address within 7 days if you move. Contact Student Services to update your address. You must maintain adequate arrangements for Overseas Student Health Cover during your stay in Australia. You cannot work until you have started your course in Australia. No work limits apply during college or university breaks. Taking a Leave of Absence means taking a break from study while remaining enrolled. It is also called deferring. International students cannot take a Leave of Absence unless there are compassionate or compelling circumstances. For a full list of limited circumstances please refer to the Enrolment and Attendance Policy. International students may transfer to another Australian institution. Generally you cannot transfer between colleges or universities before completing 6 months in your principal course. See the International Student Transfer Procedure for more information on how to transfer. There are situations where a transfer request will be granted because it is in your best interest,or due to compelling circumstances. You will need to seek approval for release in your first six months, and have a valid enrolmentoffer from another registered provider. Section 15.1 of the Enrolmentand Attendance Policy. Will this affect my Student Visa? For student visa conditions and regulations about changing courses, see the Department of Home Affairs - Changing Courses website. You must have Overseas Student Health Cover (OSHC) for the duration of your visa at the time of admission into your course. OSHC must be purchased from an approved Australian insurance provider. Different insurers may offer different levels of cover, so compare policies to choose the one that is right for you.You may want to take out extra insurance such as dental, physiotherapy and optometry services. For more information and a list of insurance providers visitthe OSHC page on the Department of Health website. In an emergency, call 000 and ask for an ambulance. You can also visit the emergency department at your nearest public hospital. You will not have to pay for most emergency services in public hospitals when you show your OSHC card. Some private hospitals also offer emergency services but require an up-front payment before treating you. For emergency and safety information, please visit your campus page or the Study in Australia website. Private rentals - use real-estate websites Realestate.com.auor Domain. Find out more about international student accommodation at www.studyinaustralia.gov.au. If you need additional assistance,Student Services on your campus can help you with further resources. All workers in Australia have rights and protections at work. This includes foreign nationals. Your employer must comply with Australian workplace and immigration laws. You have the right to fair pay and a safe working environment. Fair Work Australia makes sure that these rights are protected. Many international students work part time or casually to help support themselves while studying in Australia. International students get the same pay and conditions as Australian employees. A work diary helps you keep track of your work, check your pay and other entitlements. If you receive superannuation (retirement savings) while working in Australia you may be able to claim it back when you leave. We offer two types of English courses for international students. Improve your academic English skills before beginning your main course. You can start this course on any Monday and continue until you have reached your goals. Study a General English course to become more confident with English and learn more about Australian culture, customs and speech before you start to study. The student counselling service is freeand confidential. Visit the Counselling page to get in touch. Sydney Airport is about 8km from the city. Travel options include train, shuttle bus/mini-van, taxi or car. Sydney airport transport options- Find public transport, shuttle and taxi information here. Airport Link rains travel to the city every 10 - 15 minutes. You will need to buy an Opal card at the train station. Taxis - the airport taxi rank is outside the arrivals hall. Get a fare estimate here. Transport NSW- Find timetables and maps.You will need to buy an Opal card to use public transport. Tullamarine, Melbourne's main airport, is 23km from the city. There is no train to Tullamarine. Public Transport Victoria (PTV)- find timetables, maps and journey planner tool to plan your trips around Melbourne and Victoria. You will need a Myki card to use public transport. Brisbane Airtrain - trains to the city leave every 15 - 30 minutes. The trip takes 20 minutes. Taxis are available outside the Domestic and International Terminals. At peak times, Kerbside Officers are on hand to assist. If you arrive before your course start date or orientation day, please feel welcome to visit the campus and make contact with your International Student Advisor or Campus Student Services team. We'll check in with you in Week 1, Week 4 and Week 7 of your first trimester. It's our chance to chat with you and for you to ask any questions. 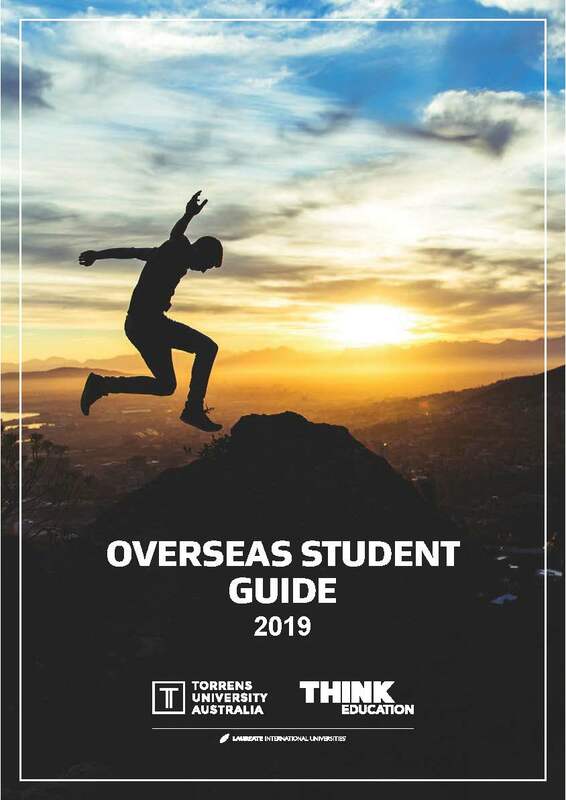 Your International Student Guide is full of important and useful information to help you settle into your studies and life in Australia. You may wish to download a copy for easy reference. Nina Starkey is one of our lecturers. From Sweden, she was an International Student before teaching so she knows challenges and concerns that international students face.